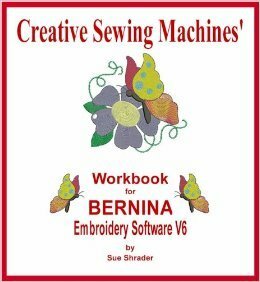 The BERNINA V6 workbook is no longer available in printed format. The workbook is available as a digital download. We ask that you honor the copyright on the material and do not print more than one copy of the book. It is unlawful to distribute this workbook electronically in any form. This workbook is 372 single-sided-pages, and is full of graphics and real-world-examples so that you understand the topic, not repeat the instructions.